Q&A 25 – What Do I Do If I’ve Been Underpaid? I’m Graham Clark. I’m 30 years old, and have recently returned to the UK after 2 years living in the South of France. Upon my return to the UK, I left my full time job to explore the life as a self-employed entrepreneur. So, how do I now describe myself from a professional standpoint? Well, I’m a qualified chartered accountant, data specialist, business owner, stock investor, landlord, two-time author, podcast host, iPhone app creator, financial consultant, avid money saver, wealth creator, financial coach and self proclaimed personal finance geekazoid! I believe that everyone should have a financial dream that they are working towards. It should be a visual image that will help motivate you to make the best financial decisions even though they may hurt a little in the short term. Mine is related to the actual image above. 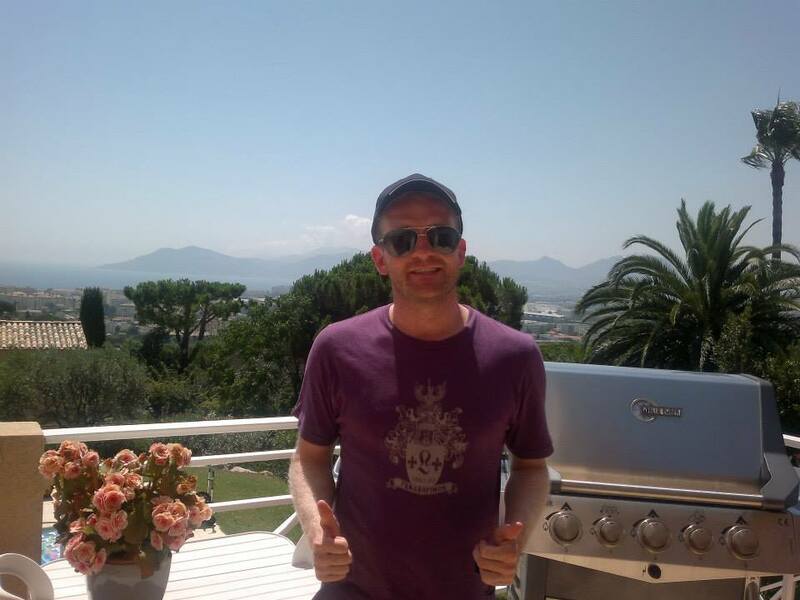 It is to be financially secure enough in my early 40s that I can spend my days on my balcony of my paid for home in the South of France, enjoying great steak and fine wine with family and great friends. Let me know what your financial dream is – I’d love to hear all about it. [yellowbox]I’ve learned a great deal whilst writing Moneystepper. But, these 10 wealth building lessons have been the most important on my journey to financial freedom. Why Did I Start Moneystepper? Having read personal finance sections of mainstream media for years, I was becoming fed up with the lack of analysis and proof provided to support the dramatic and sensational headlines. I spoke to other people about this and they got annoyed with the same thing. Therefore, I created moneystepper to present articles and financial advice, which provides unbiased opinions based on the actual underlying data. Through these articles, you will be provided by different ways to earn & save money through ideas and theories which should be applicable to everyone. Our posts cover every aspect of money, investing and saving, which will help you increase your net wealth in the short, medium and long term. Our main focus is to help our readers and podcast listeners achieve their goals through the Moneystepper Savings Challenge. I hope you enjoy moneystepper.com. Without you, moneystepper cannot achieve its goals. I therefore appreciate any feedback you wish to leave regarding possible improvements or changes to the site. Equally, I’d love to receive your questions and I will write an individual article or podcast to answer any questions you may have. I hope we can work together to create are more positive financial future for us all. Please get in touch at moneystepper@gmail.com and I’ll get back you to straight away. I have also published an e-book, “How To Build Wealth: One Step At A Time” outlining 5 larger steps each and every one of us can take to achieve our long-term financial objectives. If you wish to guest post on moneystepper, please don’t hesitate to get in touch. Please e-mail moneystepper@gmail.com to discuss advertising. moneystepper.com is the property of MONEYSTEPPER LTD.
How Much Can I Save by Cutting Back on Coffee and Beer? Really keen to do the 2015 Savings Challenge – only discovered your site with 3 days left in the month! Quick question – can my partner and I submit a combined challenge? Since we have been sharing income and outgoings for 10 odd years. Of course – no problem at all. That makes a lot of sense to enter the challenge as a “combined” as your finances are managed as such.